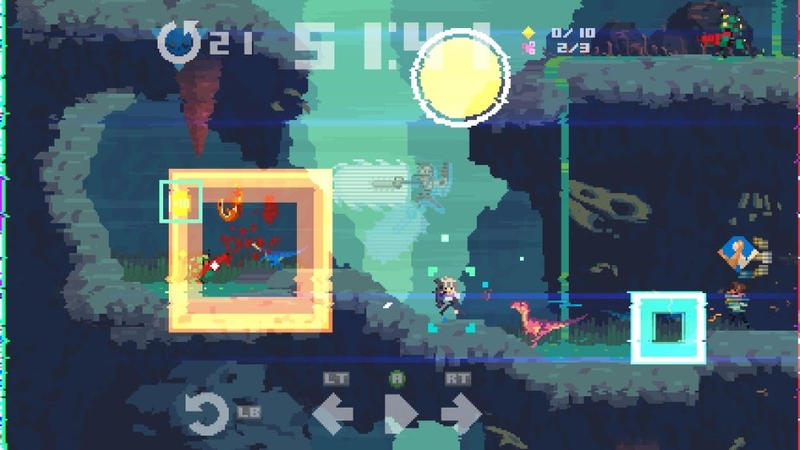 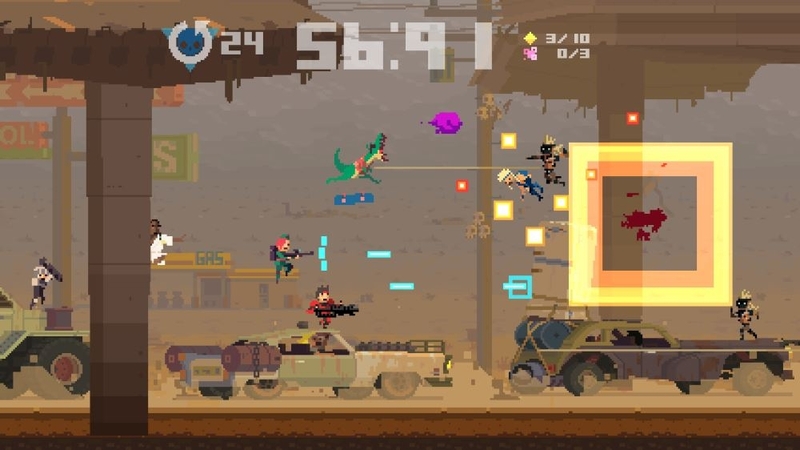 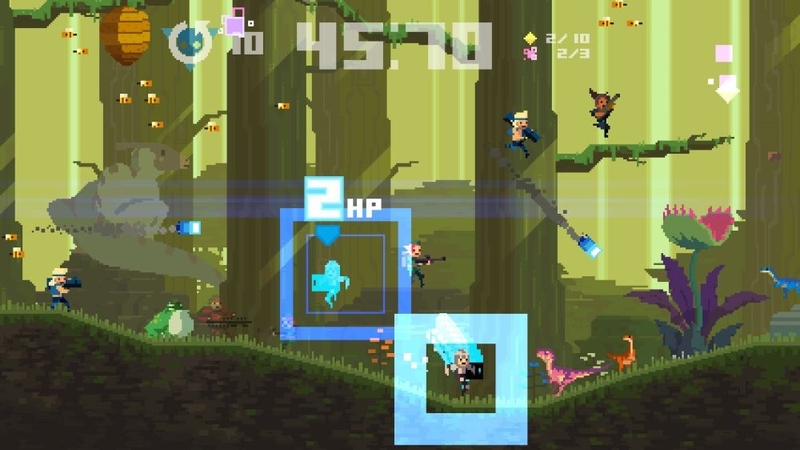 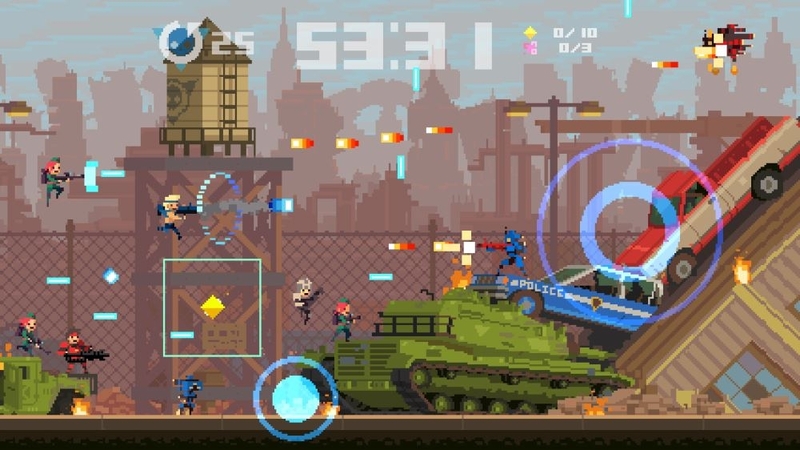 Super Time Force is an action-packed platformer with a time-travelling twist! 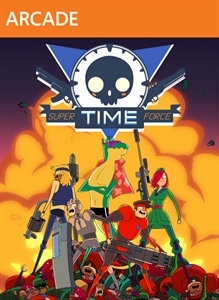 You’re in control of time itself, bending and stretching it to your advantage on the battlefield. 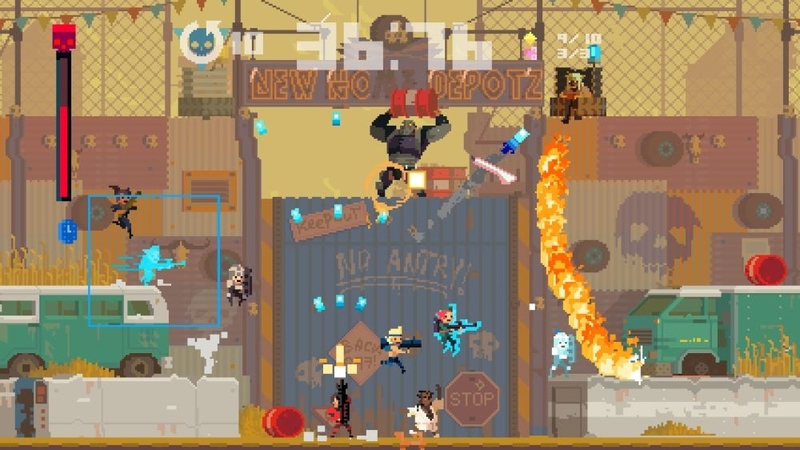 Rewind time and choose when to jump back into the action, teaming-up with your past selves in a unique single-player co-op experience! 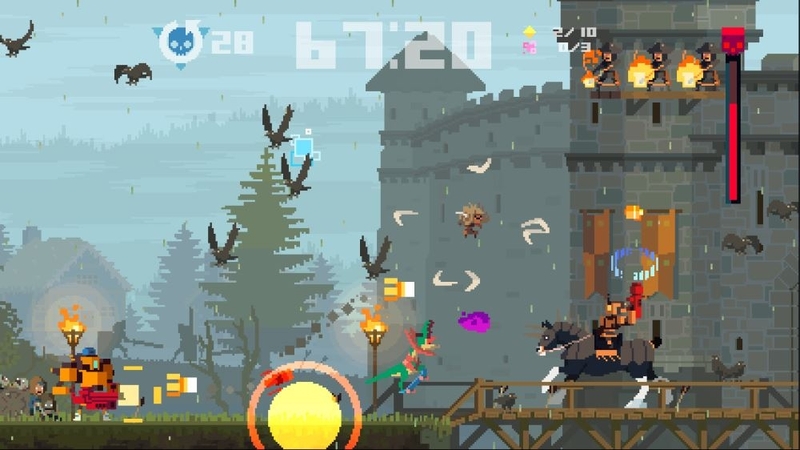 Take control of up to 16 unique characters, and battle across 6 different time periods, from the long-ago past to the far-away future. 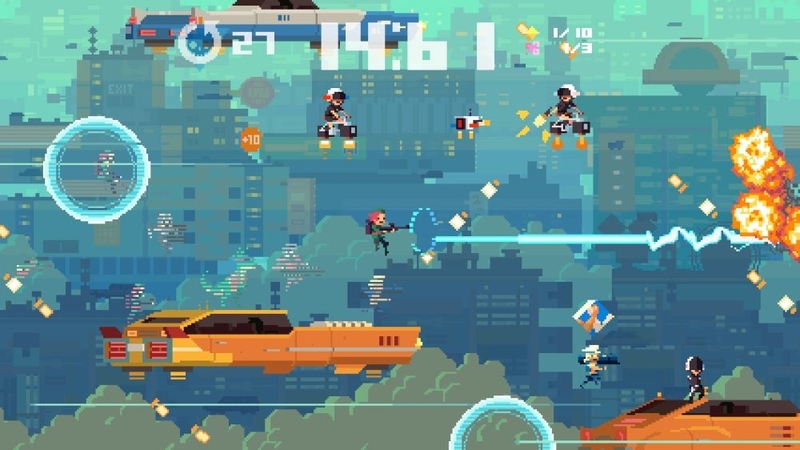 Super Time Force is an action-packed platformer with a time-travelling twist! 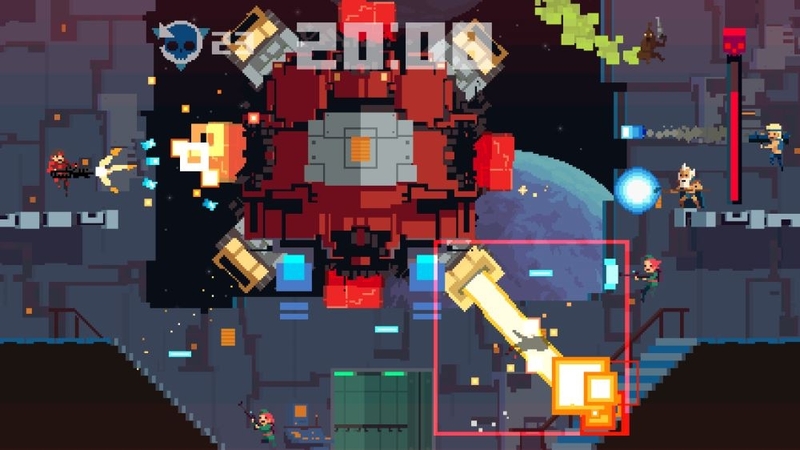 You’re in control of time itself, bending and stretching it to your advantage in battle. 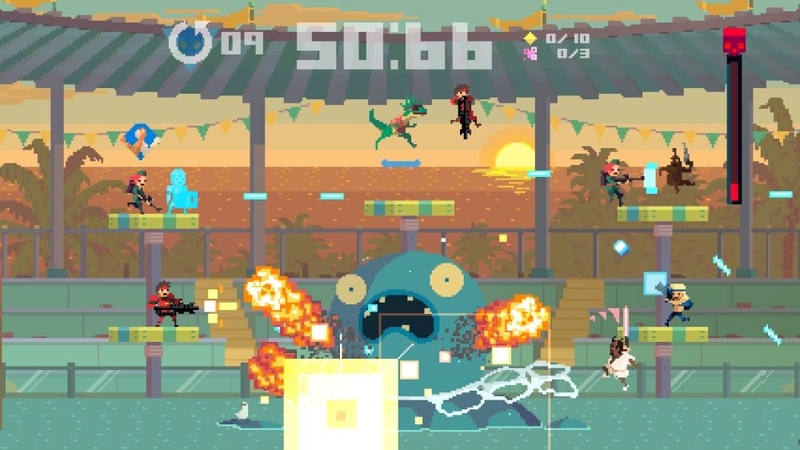 Rewind time and team-up with your past selves in a unique single-player co-op experience! 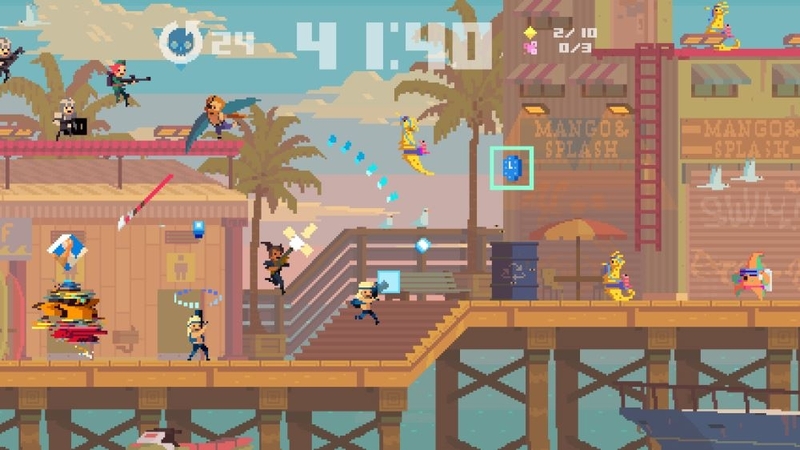 Unlock the full game to take control of up to 16 unique characters, and fight across 6 different time periods, from the long-ago past to the far-away future.